I love pre-sales...such a sense of privilege!!! Well, although I'm not VIP and don't spend a quarter of a million a year, I still somehow manage to get good relationships with sales reps from major highend stores to get the VIP treatment. Girls, if you want to best selection and the best deals before anyone else, the key is your relationship with a full-time sales rep that knows what's happening! Trust me on that one! Be extra nice and make her sympathize with you. Use your charm!!! 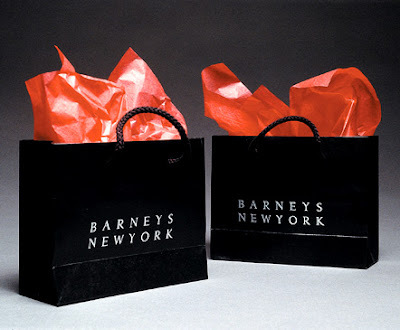 Anyways, my all time favorite highend department store in the states by far is Barneys. They really have the best selection of brands and styles. And as of June 1st, their designer handbags, shoes, clothing will be marked off at 40%!!! That includes brands like Balenciaga, Givenchy, Celine, Chloe, etc...you get the picture, right? And with the weak USD, what's there to think about?! ?